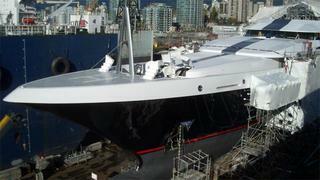 Much of the success of a superyacht refit comes down to decisions made before the refit ever takes place. No matter the reason a superyacht goes into the yard for a refit, following the expert refit tips below can be the difference between a smooth and easy refit or rebuild process and one filled with time delays and headaches. There are several cases why a large yacht may undergo a refit – and by that we mean major mechanical, electrical, structural and/or interior work, not mere maintenance. 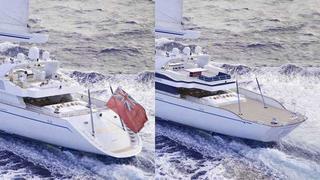 The most common is a change of ownership, with the new owners eager to put their stamp on the vessel – such as a change in the accommodation or updating the interior décor – key reasons can also be wear and tear to engines and running gear and updating various superyacht systems, or even classification requirements causing the need for a refit. Yachts required to schedule haul-outs every five years to undergo survey and recertification by ABS, Lloyd’s, RINA or their flag states will often plan a refit to coincide with one of those mandated yard periods. ‘They’re going to kill those birds with that one stone,’ says Eric Haberli, in charge of Super Yacht Business Development for Bay Ship & Yacht Co, a refit yard in Alameda, California. If you ask Captain Rocka Romcke why M5 (ex-Mirabella V) – pictured above – checked in for an 18-month refit at the Pendennis Plus shipyard in the UK, his answer would be: All of the above. ‘We had a certain amount of heavy service work to do,’ he says, ‘and we had the new owner’s wants… just a few small things like a new stern, new engines and a whole new interior.’ In addition, M5 is getting new generators, switchboard, rigging, wiring, a fuel filter system, sewage treatment system, teak decks, electronics, engine room insulation, some winches and fittings for a seaplane on deck. Based on his experience, Captain Romcke advises, ‘Plan well. Get help if you need it. A refit is always bigger than you think it will be, and it will always grow.’ Following this advice from refit professionals can ensure that the refit doesn’t grow beyond your control. 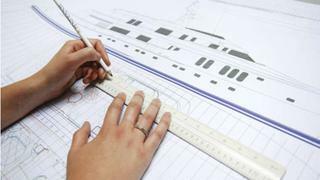 Pendennis, which has yards in the UK and Palma de Mallorca, recommends starting the planning process at least 12 months ahead of the desired work start date. 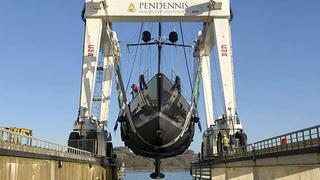 ‘With more substantial refits that may include structural work, such as a rebuild or restoration, detailed planning with naval architects and the owner is required prior to engaging a yard, so that any quotes can be accurately prepared,’ says Toby Allies, Pendennis sales and marketing director. ‘It’s all about pre-planning,’ agrees James Brewer, director of sales and marketing for Derecktor of Florida. ‘The better the plan, the more successful the refit.’ Although he points out that no two refits are alike, in his experience smart skippers typically start the planning process at least five to six months in advance. ‘One year out is even better,’ he says. Most yards hire subcontractors for some element of the project, and they need to be alerted and specialists pre-booked, as well as large components ordered. Keep in mind that yards also have maintenance periods when their own systems and facilities are refurbished or heavy equipment, such as the lift, is serviced.